On May 15, 2011, Judith L. Pasewark, Administrative Law Judge (ALJ) from the Office of Administrative Hearings, Special Education Division (OAH), presided at the due process hearing in this case. Sarah L.W. Sutherland, Esq., represented La Mesa-Spring Valley School District (District). Heather McGuire, Program Specialist, attended the hearing on behalf of the District. Student’s mother (Mother) attended the hearing on behalf of Student (Student). The District filed this Request for Due Process Hearing (Complaint) on March 8, 2011. On April 6, 2011, OAH continued the original due process hearing date to May 17, 2011. The continuance tolled the 45-day timeline in this case. The hearing took place on May 17, 2011. The parties completed testimony and submitted the matter on May 17, 2011. Kathryn Diamond, Heather McGuire, and Laura Foster 1 testified on behalf of the District. Mother testified on behalf of Student. Mother did not object to District Exhibits One through Nine, which were entered into evidence. 1 Laura Foster is a speech and language pathologist for the District. After her testimony, Mother consented to the District’s proposed speech and language goals and services. Ms. Foster’s testimony is now moot, and offers no additional relevance beyond the speech and language issue. Therefore, Ms. Foster’s testimony has not been included in this decision. The sole issue presented by the District is whether the Individualized Education Program (IEP) offered to Student at the September 22, 2010 and October 4, 2010 IEP meetings (collectively the Fall 2010 IEP), constitutes a free appropriate public education (FAPE) in the least restrictive environment (LRE). Prior to the hearing, Mother on behalf of Student, consented to the Fall 2010 IEP in all areas, including goals, special factors, accommodations and modifications, except for the placement in a general education classroom with resource specialist services, and additional speech and language services offered in the IEP. During the hearing, Mother withdrew her opposition to the additional speech and language services, leaving only the issue of placement unresolved. Mother contends that a general education classroom is inappropriate for Student, and that Student should be placed in a smaller, more individualized, special day class (SDC). 1. Student is a seven-year-old boy who is in the first grade at Lemon Avenue Elementary School (Lemon Avenue). Student and his mother reside within the district, and Lemon Avenue is Student’s school of residence. Student qualifies for special education under the primary category of orthopedic impairment (OI) due to a diagnosis of cerebral palsy (CP), with a secondary category of other health impairment (OHI) due to attention deficit hyperactive disorder (ADHD). 2. Student initially qualified for special education services in 2006 while residing in Chicago, Illinois. Student participated in the Illinois Early Childhood Program for three years prior to entering kindergarten. The parties disagree about Student’s kindergarten placement in Chicago. Mother reports that Student attended a half-day SDC kindergarten. Heather McGuire, the district’s program specialist, reports that, pursuant to confirmation from educational staff in Chicago, Student attended a general education kindergarten with additional support services in speech and language, occupational therapy and adaptive P.E. Student and his family moved to La Mesa, California in November 2009. Ms. McGuire reports that Student’s transition IEP with the District closely resembled Student’s last IEP in Chicago. As a result, Student was apparently placed in a general education kindergarten at Lemon Avenue with the same support services as had been provided in Chicago. Neither party provided a copy of Student’s last IEP from Chicago or Student’s first IEP from the District. 3. As of Student’s May 4, 2010 IEP, the District continued to offer Student placement in a general education kindergarten classroom at Lemon Avenue. Pursuant to the IEP notes, Mother did not agree, and requested placement in a “more appropriate” setting with a smaller class and more help for reading and writing. Mother did not consent to the placement in the May 2010 IEP, however Student remained in a general education classroom with no in-class educational supports. Student’s support services continued to include speech and language, adaptive P.E., and occupational therapy. 4. During the summer of 2010, Student broke his leg, and was placed in a 75% body cast. Student’s immobilization required him to be placed in an awkward position in a wheel chair. Mother indicates Student had ceased taking pain medications upon returning to school in August 2010. 5. At the beginning of the 2010-2011 school year, the District administered Student’s triennial assessments. Student’s suspected areas of disability included (1) specific learning disability; (2) speech/language impairment; (3) autism; and (4) developmental delay. The District completed a psychoeducational assessment as well as assessments in the areas of speech and language and occupational therapy. 6. On September 22, 2010, the District convened Student’s triennial IEP meeting. All required parties attended, including Mother. No procedural issues were raised, nor did Mother contend there were any procedural violations, including parental rights or the IEP meeting itself. Mother, in fact, agreed with much of the IEP, including goals and most services. The IEP team offered Student placement in a general education classroom with 360 minutes (six hours) per week of specialized academic instruction to be provided by a special education resource specialist (RSP). Mother disagreed with the team’s placement offer. She contends that the information presented in the psychoeducational assessment report and the information presented by Student’s teachers contradicts the IEP team’s rationale for placing Student in a general education classroom, and supports Student’s placement in a SDC. The evidence supports Mother’s contention. 7. Phillis Denmon, a school psychologist, prepared the District’s psychoeducational assessment report, dated September 22, 2010. Ms. Denmon did not testify at hearing. It is noted that Student’s present levels of performance do not complement the assessment results in all areas. As example, the IEP indicates that Student’s previous testing indicated appropriate receptive and expressive language skills. The assessment report, however, states that prior testing indicated continuing speech and language difficulties. All parties agree that Student’s accident and body cast compounded his disabilities and may have impacted his performance and affected his test scores. The IEP team, however, extensively relied on this injury to explain discrepancies between Student’s assessment scores and his present levels of performance. Regardless, the District considered the results of the assessments to be valid and reliable. Mother also agreed that the assessments were properly performed and represented a valid sample of Student’s level of functioning at the time. 8. As part of the assessment, Ms. Denmon reviewed Student’s 2009 assessments from Chicago. These assessments indicated that Student had continuing speech and language difficulties, delays in cognitive matching, as well as delays in both fine and gross motor development. Further, Student’s acquired knowledge was deemed below average, and his perceptual organization was found to be low average. 9. Review of report cards and observation of Student during his kindergarten year at Lemon Avenue provided additional information. Student’s year-end report card indicated that he was “proficient” in reading, and “approaching” grade level standards in math and writing. In spite of additional help from parent volunteers and an aide in the classroom, Student was identified as “needing improvement” in listening attentively and following directions, staying on task, working independently and neatly, organizing material, and turning in homework on time. Ms. Denmon also noted that Student received extended time to complete class work, and his teacher provided him with extra attention and more guided help when possible. During the 2009-2010 school year, Student was absent eight times. 10. Ms. Denmon noted that due to his body cast, the District provided Student with a one-to-one aide all day in his general education first grade classroom. Ms. Denmon observed that while the aide’s primary duties involved toileting and moving Student around the classroom and campus, the aide also provided a myriad of additional duties which focused on Student’s behaviors. The report indicates that the aide reminded Student to focus on his work; repeated directions to Student as needed; prompted Student where to look on the board when copying work; provided near point examples of some words Student needed to use in his writing; and provided verbal encouragement and reinforcement when Student had preserved with a difficult task. 11. During classroom observations, Student often seemed tired. He worked slowly but generally persisted on written assignments with minimal encouragement from the aide. Student usually did not chant with the class or follow movement directions which were given by the teacher to gain the class’ attention. He did not volunteer answers or ask questions and did not initiate interaction with classmates. When whole class instruction was going on, Student did not consistently look at the teacher as she pointed to special words or pages in a big book. Further, Student sometimes was observed looking around the room or fiddling with things on his body or wheelchair. 12. Due to Student’s ethnic background, the District did not utilize standard intelligence testing. Instead, the District used an alternative assessment procedure that included evaluation of Student’s acquired knowledge, processing skills, and adaptive behaviors which estimated Student’s learning potential. Based upon these assessment procedures, Ms. Denmon estimated Student to have below average to borderline potential for learning in a traditional education environment. 13. The District administered the Wide Range Assessment of Memory and Learning (WRAML-2), which assesses the immediate recall and retention of both visual and auditory information. Student’s overall performance on the WRAML-2 suggested that his potential for recalling information presented in a traditional educational environment was below average. His general memory lies within the below average to low average range. 14. The District administered the Developmental Test of Visual Motor Integration-5 (VMI-5) which measures visual-perceptual motor skills. Student’s score of 63 indicated a severe delay in the visual-motor domain, and ranked him at an age equivalency of four years, three months. 15. The District administered the Test of Visual Perceptual Skills-3 (TVPS-3) which assesses how the brain interprets what the eye sees. Overall, Student scored well below average in visual perceptual ability. 16. The District administered the Test of Auditory Processing Skills-Third Edition (TAPS-3) which assesses auditory memory, auditory attention, phonological skills, and cohesion. Student demonstrated overall well below average performance on this test. 17. The District assessed Student’s social and emotional behaviors by administering the Behavior Assessment for Children (BASC-2) which is a rating scale given to Mother and Student’s kindergarten teacher. Student’s first grade teacher did not participate in Student’s ratings, as she had only known Student for a few weeks at the time of the assessment. Ms Denmon noted that any scores falling within the “clinically significant” range should be followed up on closely. Mother reported more difficulties in the home setting than were seen in the school environment. Mother’s scores placed Student in the “clinically significant” range in all but three areas. The teacher placed Student as “average” in all but three areas, including “at risk” for learning problems. Both Mother and teacher identified Student as exhibiting problems in functional communication and withdrawal. 18. The District provided the teacher with the Gilliam Autism Rating Scale-2 (GARS-2). The teacher’s ratings scored Student with a below average probability of autism. 19. Jaime Haigis, a district resource specialist, administered the Wechsler Individual Achievement Test-II (WIAT-II) to Student, but did not testify at hearing. On the WIAT-II, Student demonstrated difficulty with answering questions about reading material and difficulty formulating and writing sentences. The report also indicates he needed more development in the area of math computation. Student’s overall composite scores fell in the borderline range. Student scored below average in reading and mathematics, and borderline in written and oral language. 20. In summary, Ms. Denmon concluded that although Student demonstrated good recall for learning word lists with repetition and had strong recall of visual details, he demonstrated below average general memory. Student further demonstrated a profound delay in visual-motor integration. His overall visual perception of symbols was low, as were his auditory processing skills. Student’s blending and initial memory of words in sentences was very low. Ms. Denmon also concluded that Student’s academic skills were significantly below average compared to age mates. His poor writing skills, slow production, and limited verbalization inhibited his performance on academic tasks. Lastly, Student’s behaviors and adaptive skills delays were more significant in the home. At school, Student generally got along with others but did not readily extend himself in group situations. 21. Ms. Denmon’s recommendations included: (1) using a teaching strategy which links new information to already known information; (2) rehearsing or repeating information over and over to keep available in short-term memory; (3) gaining Student’s attention before giving instructions; (4) having Student repeat back or rephrase instructions to check for understanding; (5) limiting extraneous stimuli in the work environment; (6) giving Student additional time to complete assignments or breaking down assignments into smaller units; (7) highlighting key direction words and math symbols; (8) providing near-point static models of work so Student may reference them as needed; (9) exploring the introduction of word processing programs to help with report writing; (10) allowing Student to dictate some assignments and responses to tests; (11) increasing opportunities for Student to talk in small group settings where he can verbalize problem-solving techniques; and (12) considering continuing aide assistance even when wheelchair assistance is no longer necessary. 22. Kathryn Diamond2 teaches a general education first grade class. Student has been a student in her classroom since August 2010. Student’s classroom has 24 students and several aides. Student has no special education supports or assistance in the classroom. While the majority of Ms. Diamond’s involvement with Student occurred after the Fall 2010 IEP, she nonetheless presented significant insights regarding Student. 23. Ms. Diamond described Student as quiet and reserved. He is not disruptive in class. Although he does not seek out peers, he will interact with peers if approached. She believes Student is making slow and steady progress in reading. She acknowledges that Student is slightly below grade level in math, and below grade level in writing. Student also exhibits problems with fine motor skills, and has a hard time writing. 24. Ms. Diamond does not believe Student’s existing IEP from May 4, 2010, is meeting his needs. Student performs low academically. He needs support and modification of some work. Ms. Diamond works with Student individually, to see that he has mastered lessons, some of which must be shortened. Student needs redirection. Additionally, due to his CP and injuries, Student has missed over 39 days of school this year. Ms. Diamond believes that Student could do better in a smaller class with additional one-to-one time with a special education teacher. On the other hand, she does not want to see Student removed from a general education setting as he needs interaction with his peers. Student will respond when approached by peers. She believes that the District’s offer of placement in a general education classroom with resource specialist pull out services will provide Student with the additional support he needs. As a final caveat in her testimony, Ms. Diamond noted that in the next year’s general education setting the teacher will have difficulty adequately supporting Student, because there will be up to 35 students in a class, and more academic work than in the first grade. 2 Ms. Diamond has been a general education teacher for 25 years, and has taught at Lemon Avenue for 11 years. She has both a B.A. and M.A. along with a multi-subject and reading teaching credential. Ms. Diamond has experience with special education students and has attended 50-100 IEP meetings. 25. Heather McGuire3 attended the meeting and helped develop the Fall 2010 IEP. The IEP team concluded that placement in a general education classroom with RSP supports would be appropriate for Student for several reasons. First, Student could continue to attend his home school, Lemon Avenue, with his twin brother. 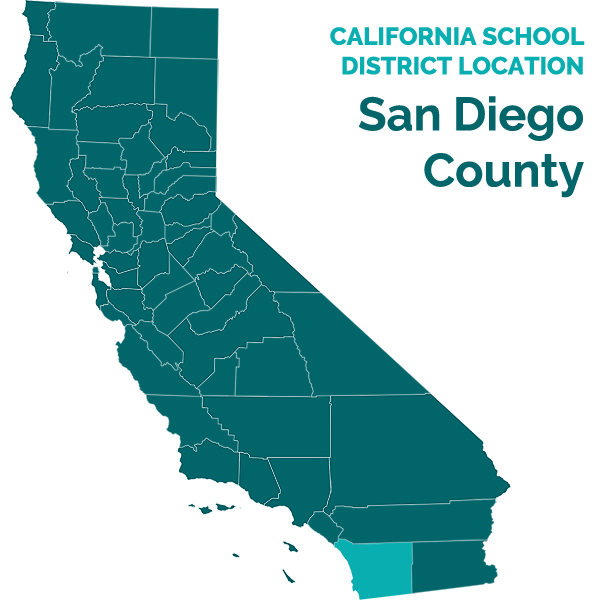 A SDC placement would require Student to change schools. Second, although a SDC would have between 12-15 students, a special education teacher, and multiple aides, the students in the SDC would be even further below grade level than Student. Third, in his current general education placement, Student is able to complete his work and his academics are currently near grade level. Lastly, and most important, the District does not believe the SDC represents the LRE for Student. Student needs to be around his peers. He is capable of making progress in the general education setting with supports. While both parties admit there was some discussion of SDC placement at the IEP, neither party indicated any discussion of mainstreaming or inclusion possibilities for less than the full school day. 26. Mother testified on behalf of Student. She objects to a general education placement for several reasons. First, Student has CP, which in turn, presents with significant medical problems. His disability contributed to his summer 2010 injury. He continues to need surgeries and sometimes requires a wheelchair. Student requires a health aide at times. He has missed over 39 days of school this year for medical reasons, and will continue to miss a lot of school. 27. Second, Student has ADHD and qualifies for special education under OHI. There is too much going on in a general education setting with 24 students. Student needs substantial redirection to stay on-task. Mother, Ms. Diamond, and the recommendations of the psychoeducational assessment agree that Student needs a smaller classroom environment. 3 Ms. McGuire has been a program specialist for the District since 2004, and attends 100-200 IEPs per year. She has a B.A. in elementary education and a M.A. in special education. She has also been special education and resource teacher since 1993. 28. Third, as described above, Mother believes the psychoeducational assessments contradict the District’s offer of a general education placement. Student is already behind in academics. His cognitive scores placed him below average or borderline. The assessment report indicated that, in more than one area tested, Student had a below average or borderline potential for learning in a traditional education environment. The VMI-5 scored Student as profoundly delayed in the visual-motor domain. As indicated in the occupational therapy report dated September 22, 2010, Student wears glasses and has difficulty tracking in all planes. Student has strabismus or rapid eye movement. Student also has double vision which affects his ability to read. Mother indicates these visual disabilities will only get worse as Student ages. Student scored below average in auditory processing, with an overall standard score of 73, which was a better than the score of only four percent of the students his age. The parties agree that Student will not initiate or extend himself in group situations. Mother reports that Student will not initiate in class when he needs help, but will simply sit there. Further, Mother reports that as the year progresses, things are getting harder for Student. Student shuts down when things get to be too much for him. 29. Mother also believes that “you can’t put Student in a mold and expect him to succeed”. The LRE needs to be looked at on an individual basis. Mother wants Student to be in the LRE, but his LRE. If the LRE is not beneficial to Student, then it means nothing to him. Mother is correct. 1. Under Schaffer v. Weast (2005) 546 U.S. 49 [126 S.Ct. 528, 163 L.Ed.2d 387], the party who files the request for due process has the burden of proof at the due process hearing. The District filed this complaint and bears the burden of proof. 2. A child with a disability has the right to a free appropriate public education (FAPE) under the Individuals with Disabilities Education Act (IDEA or Act) and California law. (20 U.S.C. § 1412(a)(1)(A); Ed. Code, § 56000.) The Individuals with Disabilities Education Improvement Act of 2004 (IDEIA), effective July 1, 2005, amended and reauthorized the IDEA. The California Education Code was amended, effective October 7, 2005, in response to the IDEIA. The primary goal of the IDEA is to “ensure that all children with disabilities have available to them a free appropriate public education that emphasizes public education and related services.” (20 U.S.C. § 1400(d)(1)(A); see J.L. v. Mercer Island School District (9th Cir. 2009) 592 F.3d 938, 938 (Mercer Island).) This special education administrative due process proceeding is brought under the authority of the IDEA. 10. Neither the IDEA nor California law imposes any mandatory class sizes or teacher-to-student ratios for special education students. (Letters to Anonymous, 17 IDELR 424 (OSEP 1991).) These issues, however, are appropriate matters for consideration during the IEP and placement process to the extent that class size and teacher ratios impact a FAPE. Did the Fall 2010 IEP offered to Student constitute a FAPE in the LRE? 17. Determination of the District’s issue lies in the second or substantive prong of the test, specifically whether the IEP, including placement, was reasonably calculated to enable Student to receive educational benefit. (Legal Conclusions 4 and 5.) Based upon the evidence presented, the District has not sustained its burden of proof. 19. Further, it is unfortunate that the people who actually performed the assessments did not testify at hearing to explain their interpretation of the Student’s scores and the data collected for the assessment report. This leaves the assessment report as the primary evidence in this matter to stand on its own. As pointed out by Mother, the information contained in the assessment report contradicts the District’s contentions. 20. It is undisputed that the assessment results were valid and reliable. (Factual Finding 7.) Ms. Denmon reviewed Student’s past records and reports which indicated Student had cognitive delays, fine and gross motor delays, and his acquired knowledge and perceptual organization was below average. (Factual Finding 8.) While his kindergarten report card indicated he was approaching grade level in academic subjects, it was also noted that Student required assistance from adults in the classroom, and needed improvement in many areas, including listening, following directions, and staying on task. (Factual Finding 9.) In classroom observations, Student did not interact or participate with peers in classroom activities. Additionally Student did not always follow the teacher’s movements during whole class instruction. (Factual Finding 11). 21. The assessment report estimated Student to have a below average to borderline potential for learning in a traditional education environment. (Factual Finding 12.) His immediate recall and retention of both visual and auditory information was below average. (Factual Finding 13.) Student’s visual-perceptual motor skills indicated a severe delay, and his visual perception abilities were well below average. (Factual Finding l5.) Student’s auditory processing skills were also well below average. (Factual Finding 16.) Academically, Student’s achievement scores were not consistent with his reported progress in class. Student’s overall composite scores fell within the borderline range. He scored below average in reading and math, and borderline in written and oral language. (Factual Finding 19.) Further, while Mother’s “clinically significant” behavior ratings were dismissed by the District for occurring in the home, Mother and teacher still concurred that Student displayed learning problems, withdrawal, and functional communication problems at school. (Factual Finding 17.) The multitude of borderline and below average scores do not bode well for successfully progressing in a general education setting, even with RSP support. 22. While one-to-one RSP pull-out assistance may “help fill in the gaps” of Student’s education, and in essence re-teach what was presented in class, it does not resolve the classroom or environmental concerns pointed out by Mother and the assessment report. The assessment supports Mother’s testimony that Student has significant visual problems. It was not disputed by the District that these visual problems will get worse as Student ages. (Factual Finding 28.) As indicated in the assessment report, Student has a profound delay in visual-motor integration. Both his visual perception and auditory processing skills are low; his blending and initial memory of words in sentences is also very low. (Factual Finding 20.) All of these skills are necessary to follow directions and lessons in a general education classroom. Additionally, it is questionable as to how the assessment report recommendations contained in Factual Finding 21, could be implemented in a general education classroom. No testimony was provided to indicate how such recommendations could be successful in a general education environment. 24. The District presented several reasons for offering Student a general education placement with RSP service. Generally, the Code of Federal Regulations requires that unless the IEP of a child with a disability requires some other arrangement, the child is educated in the school that he would attend if nondisabled. (Legal Conclusion 9.) The offered placement would allow Student to attend his home school, Lemon Avenue. A SDC placement would require Student to change schools and require transportation. (Factual Finding 25.) The District contends that Student’s present levels of performance were near grade level. (Factual Finding 25.) Although a SDC would have between 12-15 students, a special education teacher, and multiple aides, the students in the SDC would be even further below grade level than Student. (Factual Finding 25.) This rationale contradicts the assessment results and recommendations, and compares Student by a class-wise basis, rather than by focusing on his individual needs. Further, there is no mention of a sincere discussion of the compendium of possible placements and mainstreaming opportunities, which could have offered lesser inclusion in general education classes and activities with higher performing peers. (Legal Conclusion 12.) Lastly, and most important, the District does not believe the SDC represents the LRE for Student. Student needs to be around his peers. It is undisputed that Student would benefit from interactions with typical peers. (Factual Finding 25.) It is also undisputed that Student does not seek out peers nor initiates interaction. (Factual Findings 11, 23, and 28.) While the District insists that Student’s LRE must be maximized for peer contact, it is also noted that the proposed IEP does not contain any goals designed to foster peer interaction. 25. The District is correct when arguing that it must give serious consideration to the LRE. Mother is also correct when she argues that the LRE must be an appropriate LRE for Student. In determining whether a placement is the least restrictive environment for a child with a disability, four factors must be evaluated and balanced: (1) the educational benefits of full-time placement in a regular classroom; (2) the non-academic benefits of fulltime placement in a regular classroom; (3) the effect the presence of the child with a disability has on the teacher and children in a regular classroom; and (4) the cost of placing the child with a disability full-time in a regular classroom.4 (Legal Conclusion 13.) Upon weighing all factors, the evidence does not support a finding that the District’s offer of placement is appropriate as Student’s LRE. 26. In applying the Rachael H. test, it is clear that Student presents no behavioral problems which would prevent him from participating in the general education setting, and he would certainly benefit from exposure to typical peers. (Legal Conclusion 13.) The primary benefit of inclusion for Student is social. As Student remains withdrawn, does not initiate interaction or often participate in group activities, he only receives some social benefit from mainstreaming. (Factual Findings 11, 17, 20, and 23.) When weighed against the lack of educational benefit presented by the general education classroom, the lack of maximum inclusion is not paramount. Further, it has not been established that Student could not benefit as much, or more, from more focused albeit lesser amount of inclusion with peers. 27. Rachael H. also requires consideration of the effect of Student on the teacher and other children in the general education classroom. (Legal Conclusion 13.) It has been established that Student’s participation in the general education setting has required additional uncredited supports. Student’s teacher has been required to spend extra time working with Student individually, which is not provided to other students. (Factual Finding 24.) Other volunteers and classroom aides provided additional help to Student in the general education kindergarten, yet Student still had difficulties listening attentively, following directions, and staying on task. (Factual Finding 9.) Further, the aide who assisted Student while in a wheelchair, expanded his/her duties to include extensive attention, focus, and behavior issues. (Factual Finding 10.) Lastly, the assessment report recommended that the IEP team consider providing Student with a full-time aide to assist him, even after he became mobile. (Factual Finding 21.) This recommendation was not adopted, resulting in the need for the general education teacher to provide additional, non-special education time with Student, thereby taking away time from the class in general. The other clearly unacceptable alternative is to leave Student to struggle without assistance for the great majority of the school day. 28. In considering the educational benefits of placement in a general education setting, the Legal Conclusions and the Findings of Facts contained in paragraphs 20 through 23, indicate that placement in a general education classroom is not reasonably calculated to enable Student to receive educational benefit. Being guided by the test factors of Rachael H., contained in Legal Conclusion 13, the evidence demonstrates that Student’s unique needs, as pointed out in the assessment report and recommendations, cannot be appropriately addressed in the general education environment. As stated in Legal Conclusion 11, the IDEA’s preference for the LRE is not a mandate. If a child’s placement cannot confer benefit, yet a more restrictive placement is likely to provide such benefit, the child is entitled to be placed in the more restrictive environment. The District’s requested relief is denied. 4 In this matter, the cost of placement is not an issue. 1. The District’s requested relief is denied. The District’s offer of placement in a general education classroom with RSP support would not provide Student a free appropriate public education. 1. Student prevailed on the sole issue of this case.